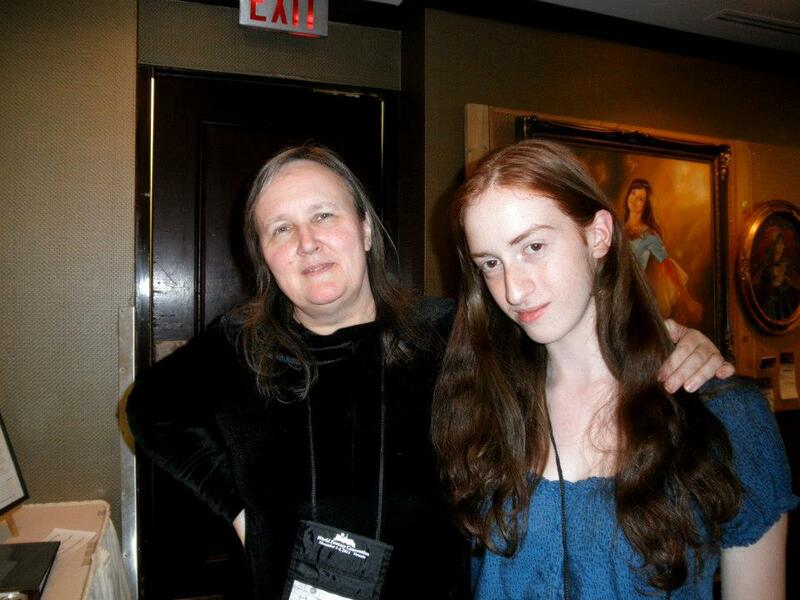 As with Brandon Sanderson, I had the opportunity to interview best-selling fantasy author, Mercedes Lackey over this past weekend at the World Fantasy Convention here in Toronto. Admittedly, this one wasn’t that great as far as interviews go, simply because I hadn’t been properly prepared for it, as it was completely unexpected. Here’s what I did ask though. As a bit of a disclaimer, I’d like to say that while nothing written below is false, it isn’t exactly word-for-word what was said. I didn’t have an audio recorder during this interview, so this is just what I was able to write during our conversation. R: Hi Mercedes, thank you for this.. Just a few questions, will you ever be restarting the “Ask Misty” section on your website? M: No, I can either answer questions all day, or I can write. I can’t do both. R: Alright, and by any chance do you plan on writing about the history of the Sunsinger or Shadowdancer? Or will we just have the songs you’ve written about their story? M: Nope, never.. There will only be the songs. R: Okay, and earlier during your reading you read a bit of your secret project… I’ve been told that it was excellent, but not much more than that… Can you tell me a bit about it? M: Well, there isn’t a publisher for it. The story is going to be taken to auction, and it’s a Young Adult post apocalypse novel. R: Alright, well I look forward to hearing more about that.. And somewhat related to that, what can we look forward to seeing from you in the future? M: Well, there’s the next book in the Elemental Masters series, Steadfast, which will be out June 2013. Other than that, there are two series that I’m currently working on with James [Mallory]. They’re both trilogies, and at the moment are untitled, but Tor has bought the first book of each. The first one is kind of like a mix between the Student Prince, Pirates of the Caribbean and a bit of magic.. So those will be out at some point. R: I’ve never heard of The Student Prince.. but I’m sure both trilogies will be excellent. R: Well, I’ll have to look more into that, and I just have one last question, who is your favourite author? M: That’s rather broad.. Depends, which genre? R: Fair enough.. Favourite fantasy author? M: That would have to be Charles de Lint, definitely. R: All right, thank you.. That’s all the questions I have. M: No problem, you’re very welcome! If you think of anything else, do feel free to ask. So yeah, now after the fact I have a bunch of questions I should have asked her.. But I’m glad I asked what I did. This was also my first face-to-face interview, so I was a bit nervous about it. Any ways, she was very kind — so, thank you Mercedes for the interview! Wow, I experienced a total flooood of memories. I read my first ML book when I was 9. Aaaaaaand then I read every single one that my library had. Once they ran out, I started requesting so many inter-library loans that eventually I started giving them lists in advance so they could just buy them, so I take personal responsibility for the depth of their collection. :) Sixteen years later, I still think of her fondly. She was part of the reason I started to write, and definitely the reason I fell in love with fantasy. In fact, I was reading through her books when someone finally said, “Hey, you like fantasy? You should try this,” and handed me The Eye of the World. I to am Super Jealous. I’ve been a major fan since I was 14. She is what got me hooked on reading! She’s absolutely wonderful.. She’s a very sweet woman.. :) I hope you do get the chance to meet her.